Build An Online Business – Why Shouldn't You Be Teaching This To Others?" You are spending time and money to learn how to make money on the Internet. This is very different from anything you've done before, and it may be confusing and complicated. Setting up a blog, choosing a niche, putting up an optin page, creating your first product, and much, much more. 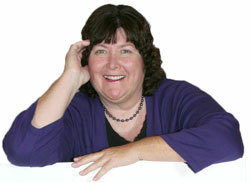 My name is Connie Ragen Green, and I know exactly how you feel. When I came online at the end of 2005 I thought I would never figure out how to make any money. I spent thousands of dollars during my first year, and finally figured how to earn some income with affiliate marketing. I thought it would be a great idea to teach others how to do what had taken me so long to learn myself. My thought was that I could save people both time and money by showing them what I was learning and sharing my best tips and resources. 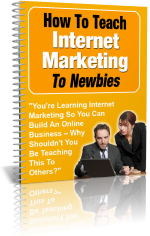 "How To Teach Internet Marketing To Newbies" so you can get started right away.